VC investor Tim Draper, after investing in Skype, Tesla and SpaceX, found his India fit in full stack logistics company Blowhorn. Every startup has that one moment that changes its course. 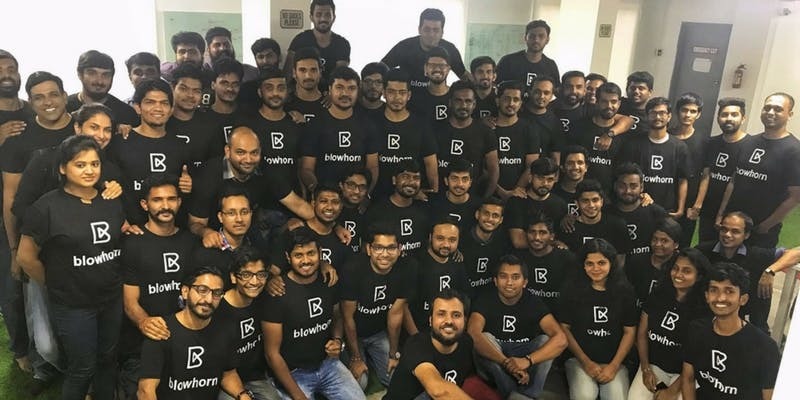 For Bengaluru-based Blowhorn, it was when it received an undisclosed funding from Venture Capitalist Tim Draper of Draper Associates in 2017. To give context, Draper has previously invested in companies like Skype, Tesla and SpaceX. Blowhorn is Tim Draper’s first India investment. Team Blowhorn had decided stay bootstrapped until it generated revenue, says Co-founder Mithun Srivatsa. Blowhorn is an intra-city logistics company that offers its services for businesses and individuals and that brings together a network of mini-truck owners and consumers. Its tech-enabled platform offers mini-trucks to transport goods to multiple cities in India. Loading and unloading of goods is part of the service. Blowhorn’s algorithm works similar to that of cab aggregators like Uber and Ola. When a consumer requests for a truck, the request is processed to match an existing mini-truck, and consequently the driver is connected with the consumer. The time frame could be as little as 30 minutes and can also be scheduled to a later date and time. Blowhorn claims to be India’s first and only ‘full-stack’ logistics company. Full-stack refers to its capabilities in all three elements of the logistics value chain – warehouses, transportation, and tech-enabled systems. “I knew for a fact that the problem was not the lack of supply of truck drivers, but the lack of a common platform that would aggregate and bring together the very fragmented market of mini trucks. If this model could work well in transporting people with Uber and Ola, then it could work for goods transport as well,” Mithun says. He did a quick analysis to gauge the size of the market and was confident of finding success. This led him to blow the horns to start Blowhorn. Co-founders Nikhil and Mithun studied together in college and have known each other since 2001. While pitching the idea of Blowhorn to investors in the US, Mithun reconnected with Nikhil, who took charge of building the company’s technology platform. “I am a logistician, while Nikhil is a generalist technologist and we were good bringing together our capabilities in a market, which we think has a lot of potential,” Mithun says. Nikhil holds an MS from North Carolina State University in Electrical Engineering while Mithun studied business management from Cambridge Judge Business School. As of today, Blowhorn has 120 employees across five cities in India. Mithun says he realised early on that individuals were are the most demanding segment of customers, and so built the platform and operations to serve the needs of this segment. “However, we also knew that the volume of business and margins in the ‘individuals’ segment wouldn’t be sufficient to sustain our business,” he says. The unique selling point of Blowhorn, according to the founders, is providing ‘full-stack logistics’ solutions. It claims to have built new layers on top of its transportation stack to drive margin expansion. Blowhorn also offers real-time tracking of goods. The duo believes its operations always have been, and will continue to be, asset-light and help customers move from fixed cost models to variable cost models, which can scale up on demand. The founders think this enables them sustain margins. Mithun says Blowhorn’s competitors are players like Porter and Gogovan. Speaking of the initial challenges, Mithun says he faced red tape to get the company registered, and even open a current account. Started in 2014 and headquartered in Bengaluru, the company has operations in Chennai, Hyderabad, Mumbai and Delhi NCR. Mithun says he has an impressive clientele including majors such as Flipkart, Amazon, and Urban Ladder. It raised Series A funding in early 2017, and its investors include IDG Ventures India, the Michael & Susan Dell Foundation, Draper Associates and Unitus Ventures (formerly Unitus Seed Fund). From February through December 2017, Blowhorn registered three-fold growth in revenue, and maintained its capital efficiency. The company raised $300,000 in seed funding in December 2014, and $4 million in Series A funding, including venture debt. Blowhorn has worked with the likes of Uber for its ‘Uber Ice Cream’ promotion in Bengaluru, which Mithun says was an enjoyable learning experience. It also partnered with mobile phone manufacturer OnePlus, for ‘one hour or free’ deliveries. The idea was replicated in the UK, and the US thereafter. Mithun says his most important learning has been ‘Raise money when you have it’. Blowhorn’s key mistake, he says, was when the company was looking for seed funding in late 2014. The team only raised enough to get it through one year, even though there was the chance to raise more. This strained its working capital, preventing it from scaling up operations.